What is the Developmental Food Continuum? The developmental food continuum is one model for how children can learn to eat solids. The time period it covers is from age 0 to 24mths. It has been developed in the United States by Dr Kay A. Toomey, Ph.D. The disclaimer to the developmental food continuum is that it is to be read in conjunction with national guidelines. In Australia, an official body for information about infant feeding is the Australian Society of Clinical Immunology and Allergy (ASCIA). The information that is provided by ASCIA is peer reviewed and based on expert opinion, available published literature. It is not funded or influenced by commercial sources. 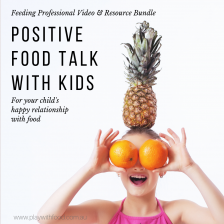 I would also recommend that if you want to know more about the developmental food continuum, you talk to a health professional that has been trained on the subject matter. The age in brackets in the above infographic is the average age when that food type is appropriate based on the child’s oral motor skill development (NOT based on when they should / shouldn’t be eating that food). What you will notice, contrary to what the baby food section of the supermarket may have you believe, mixed texture foods do not enter the scene until the child has been through the skill development associated with hard munchables, meltable hard solids, soft cubes and soft mechanical foods. In other words, trying to go from soft mashed table foods (eg. mashed banana) to a mixed texture (eg. pasta with sauce) is not likely to result in success. A baby will need to develop a greater oral motor functionality to take on these “stage 3” foods. You may have noticed gagging when trying lumpy or mixed texture foods before these skills were developed. 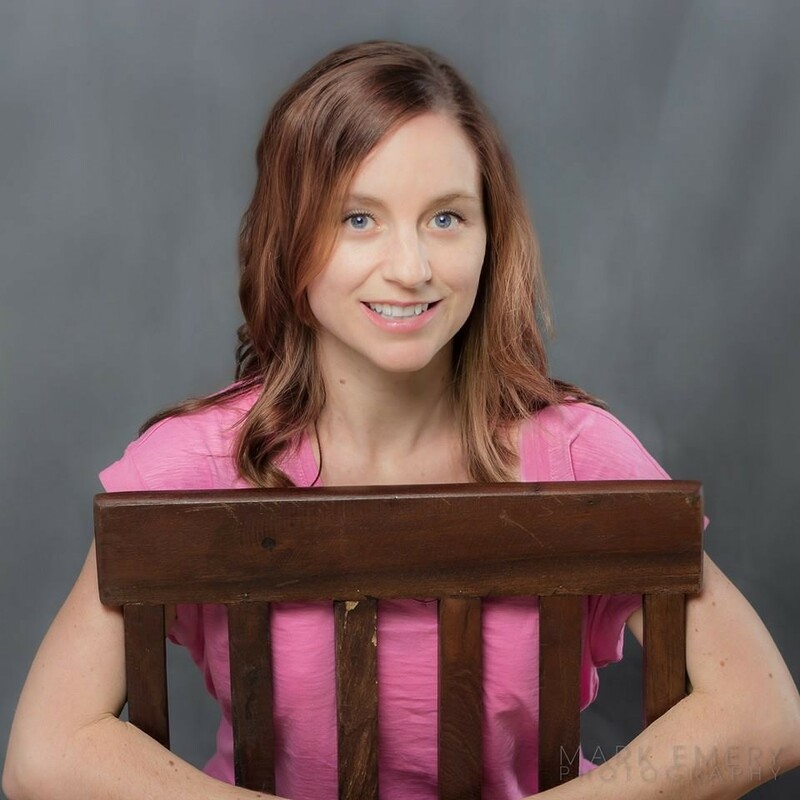 For more information on gagging vs choking please see this post. I think it’s super important for parents to equip themselves with a good understanding of the two. These are foods that disintegrate straight away within the mouth. 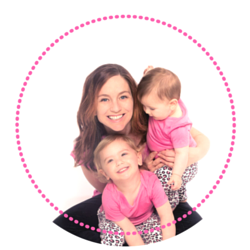 Their aim is to help baby learn to place foods under the molar area by moving it with their tongue for initial stages of learning to chew. 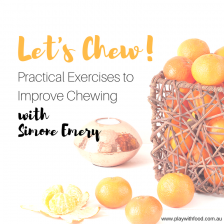 These foods need to disintegrate easily within the mouth but may take 2-3 chews in comparison to the meltable hard solids. These are foods that hold form but break apart in the mouth easily. 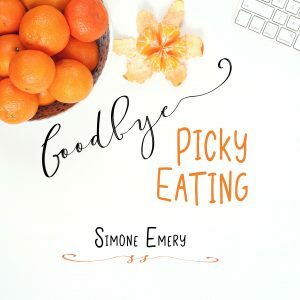 We are really starting to see good bite, pull (break off), move to the molar area and chewing action develop with these foods. The one consistency of this food means that they aren’t having multiple other inputs at the same time. That is, each piece of pasta will be the same as the last. These foods are difficult from a sensory point of view because we are combining a few textures and other sensory stimulations simultaneously. 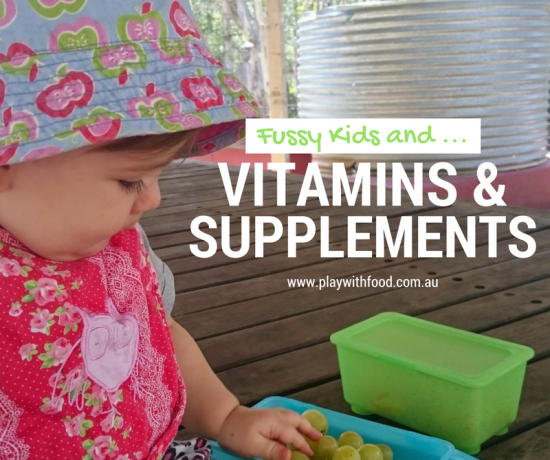 It is important that children are prepared for these foods as there is often more to them than expected. These foods are hard to the touch and require really well developed chewing. 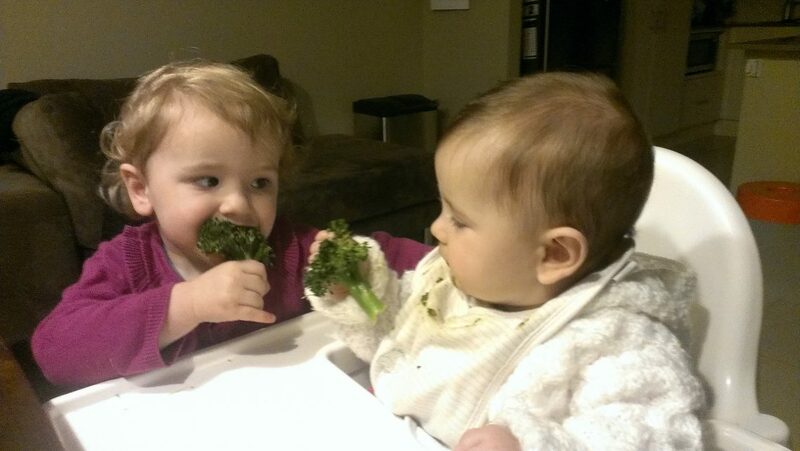 What was your baby’s first food? What did they like the taste of? What didn’t they like the taste of? 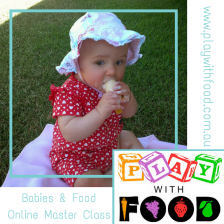 PS – If you would like to know more about the developmental food continuum, what parent led vs baby led weaning is and how that fits in and get some more examples of what to give and when, Simone has developed a comprehensive workshop on the topic that is available for private class bookings or via Skype. Please contact Simone for more information.